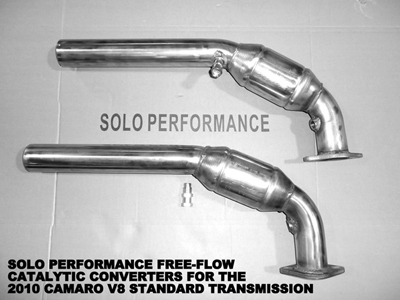 These Solo Performance high flow converters will get your Camaro V8 roaring through the streets with a great sound and more power! 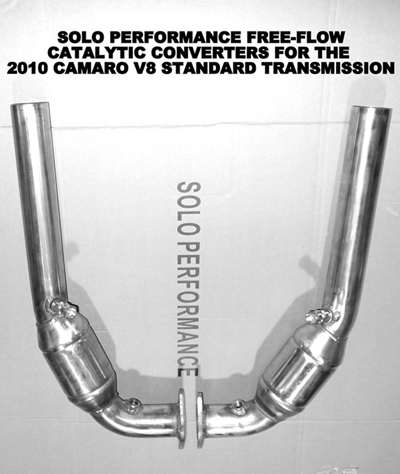 These high flow catalytic converters from Solo Performance are designed for HUGE gains in air flow for that deeper, richer sound from your Camaro V8 that makes it unique from any other car on the road. 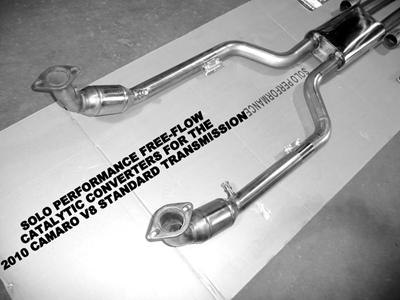 The L99 converters are for the automatic model of the V8, and the LS3's are for the manual. The L99's are made with the AFM (active fuel management system) in mind from the automatic model, which includes butterfly valves for a different sound at different RPM's. 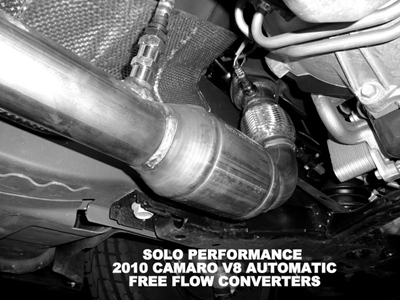 Each converter is packed with 6 liters of filtering materials for clean air output and includes all of the mounting hardware that you need for an easy installation. 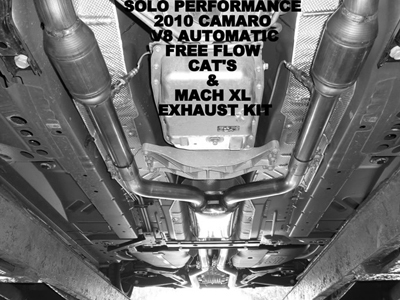 The converter kits also include O2 extenders so you don't have to worry about your check engine light going off. 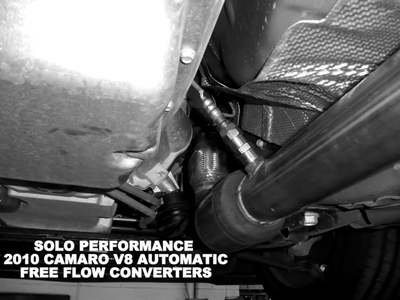 So if you want to release some more of that American muscle and get that low, aggressive roar that you've always wanted from your Camaro V8, order some Solo Performance converters from ModBargains today before they're all gone! 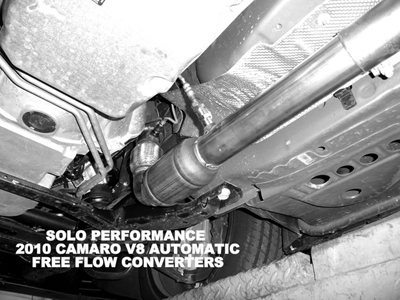 100% Bolt-On for a Worry Free Installation with No Cutting or Welding!!! Get that Massive Sound that You've Always Wanted for a SUPER LOW PRICE!! !